n inflammation of the thumb previously kept you off the stage. Might I ask if that is now fully healed? Murray Perahia: Yes indeed. Thank you. I don't know what caused this problem, from a medical point of view. I sometimes had the feeling that the doctors themselves could not explain it, but fortunately now everything is fine. I've been back to work for a while now. I don't expect to have any further complications in the future. By taking refuge in studying Bach's works away from the keyboard, you were able to take advantage of the "forced break" that this injury caused. But desperation could have taken the upper hand at that point in your career.By taking refuge in studying Bach's works away from the keyboard, you were able to take advantage of the "forced break" that this injury caused. But desperation could have taken the upper hand at that point in your career. Indeed. But at the time, I decided to fill my days with music. There was no other way: that is my life; my life is devoted to music. I needed music, and I found myself in the room we're in now, sitting on this very chair, not playing but rather listening to, and especially reading music. Bach gave me a goal and tremendous comfort. I dove into his work, and put Schenkerian analysis to full effect. Which, I'd like to add, is nothing like psychological analysis. [laughs] Of course not, not at all. The theorist Heinrich Schenker [1868-1935] looked at the internal structure of musical works, not simply at their formal structure, which he felt should not be categorized. He was interested in the way composers of tonal music manipulated counterpoint and harmony. For him, a musical work was an entity containing elements which were linked in an "organic" way. Contrary to previous analysts, Schenker did not just give a number to each chord to describe its vertical composition or to show its links with the principal key. His technique aims to glean the very meaning of the chord, to identify its function in the overall hierarchy, and in the end to glean the meaning of all the harmonic and melodic components of a piece by studying the complex relationships that tie them together. My personal quest is to unveil the essence of a composition. I try to reveal the secret of a piece so that I can transmit it with sound instead of just conveying purely superficial elements. I want to know why each note is essential to the coherence of the whole, and why each note is inevitable even though they each seem to be a surprise. I want to know how each one follows from the previous one and leads to the next. Schenker provides answers to these fundamental questions; for musicians, he provides a whole new way of understanding music. In the orchestral literature, his ideas indeed have provided impressive interpretations by renowned conductors of works by Beethoven, Bruckner, Wagner, and many others. Wilhelm Furtwängler is the best example: he studied with Schenker for 30 years and their impassioned discussions continued in more than one hundred letters. Schenker's influence is considerable; it goes well beyond the academic circle. Under what circumstances were you introduced to Schenkerian theory? My orchestral conducting teacher, Carl Bamberger, was one of Schenker's students, indeed one of his most talented. Bamberger was a wonderful man, a natural musician, very intelligent, as talented a photographer as musician. He was probably one of the first to introduce me to Schenkerian methods, but you know, at the time, Mannes College in New York was a veritable haven of Schenkerians. They had all fled Nazi persecution. My professor Felix Salzer [1904-1986], a relative of Wittgenstein, had succeeded his teacher Hans Weisse, who himself was a direct disciple of Schenker (by chance, the latter died in Vienna before Hitler annexed Austria). There was also Oswald Jonas and Carl Schachter, with whom I still work closely, who is today considered to be the greatest of Schenker's still active disciples. Their teaching had a tremendous effect on me, but composition, orchestral conducting, and chamber music kept me too busy to delve into this as much as I should have. I finally seriously came back to Schenkerian analysis when my injury forced me to give up performing. Now it has finally borne fruit: in hindsight, that injury was a blessing. His successors drew much of their inspiration from Bach, which means, I would imagine, that your study retreat must have also affected your perception of musical heritage. To a great degree, yes, but I think that my interpretations of Chopin benefited the most. This "classical-romantic" has always been dearest to my heart. Each note he wrote has a past, a destiny: in his work, everything is unified; it all hangs together. No composer is closer to him than Mozart and Bach. His music is eminently contrapuntal: take, for example, the 4th Ballade. From a structural point of view, it is indeed striking to see that this work only has one precedent: the last movement of the Eroica symphony by Beethoven. No matter what he said about the matter, Chopin was greatly influenced by Beethoven: he admired Fidelio, as his students revealed. 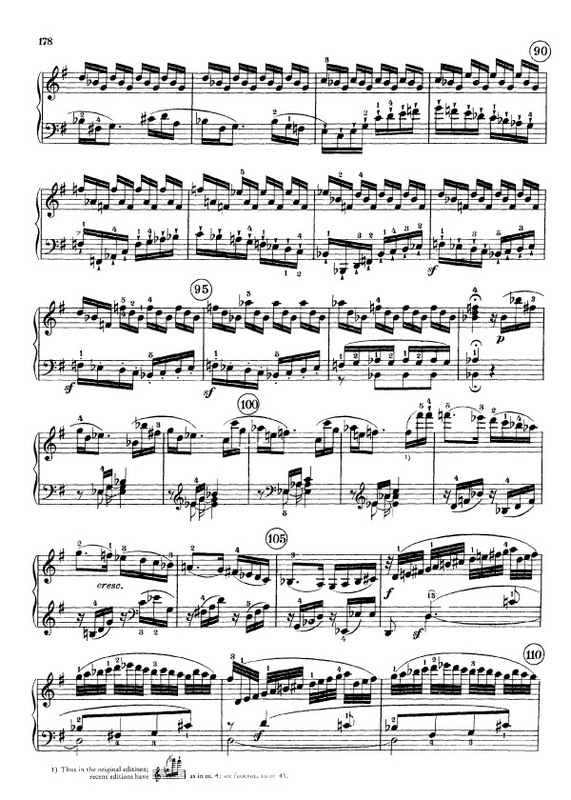 I'm among those who believe that the Fantaisie-Impromptu was not published during his lifetime because of its obvious similarities with the Moonlight sonata: it has the same arpeggios, the same frantic pace! Chopin surely had a love-hate relationship with Beethoven. Examples of this are numerous: Chopin had his students work on the Sonata Op. 26, and it's not out of the question that its funeral march influenced his own. In any case, the opening variations of this Sonata certainly inspired Schubert in his Impromptu in A-flat Major. The harmonies, the voicing, the rhythmic structure, the chords are indeed the same in both cases. That's a relevant comparison. And knowing Schubert... What I tried to do, when I recorded those variations, was to give the overall impression of their unity, especially in my tempo choices. They are often played too slowly, even though they are all in 3/8, not 3/4, and marked andante, with motion. They are not traditional variations. We're already in the Beethoven of the late symphonies. Take the minor variation: its relationship to the theme is not obvious, even though it's very profound. Right now, I'm working on the absolutely fascinating score of the Diabelli Variations. What Beethoven managed to do with this very simple theme is absolutely incredible. He doesn't betray it, he expresses every possibility hidden in it; he manages to extract everything that was there in an embryonic state in the theme which Diabelli had not seen. In a certain way, of course, Beethoven gives him a lesson in the art of composition, but in the end he shows him that his waltz motif had all the seeds of his monumental work: "Look, everything was there from the beginning – you were the one who had the natural instinct of the fifth, the anacrusis, the complex tonic-dominant relationships," he says, in a fraternal way. I think that Beethoven worked so much on variations at the end of his life because, at root, for him the artistry with which one exploits a given material was more important than the material itself. It's a metaphor for life: here's the material you're given, now see what you can do with it. One of your latest Beethoven albums includes Op. 14, 26, and 28. Now that you've revealed your passion for Schenker, I'm wondering if you didn't choose to record precisely those sonatas for their expressive possibilities created by the crossing of their vertical and horizontal lines. 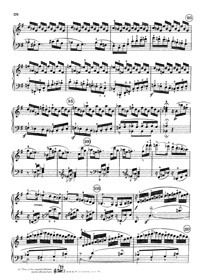 Few pianists highlight as you do the polyphonic richness of the opening of the Pastoral Sonata, for example, which is notable in this regard. Actually, the revised version of the Sonatas that I did for Henle Verlag required extensive work on my part. I really delved into Beethoven's first editions, draft scores, sketches, and manuscripts (those that are still around, of which the Beethoven-Haus in Bonn provided copies for me), I played the Sonatas so much for myself that I ended up deciding that it would make sense to play them in concert and record them. The publisher did the rest. Did you make any significant discoveries regarding the text of the Sonatas, by looking at these different documents? Very few, quantitatively speaking. The original manuscripts of the Op. 14 Sonatas no longer exist, for example. However, I don't know if you noticed, but I found a mistake in the version that is typically published of Op. 14 N.2. Do you have the score? Yes... the one edited by Schenker. That's the one that can be legally downloaded. It's funny, because that edition is not without flaws, even though it remains one of the best. Schenker's fingerings are a bit uncomfortable, but they're still very musical. Here, you can take note of this, in the Allegro, the first beats of measures 87, 88, and 89 have the following chromatic figure: D-natural, D-flat, C, and not: D, D, C, as it is written in your copy of the score. The first edition of the piece is very clear on this point. Let's come back briefly to Bach. The relationship that you have with him is that of a pianist playing on a modern instrument. Has the view you have of his writing now led you to change the way you typically draw on the piano's resources? When I was a student at Manhattan, many pianists (major ones at that – I'm thinking of Claudio Arrau) believed that the piano was not well adapted to transmitting Bach. I tried the harpsichord, and I studied as much as I could the work of harpsichordists (articulation, ornamentation, meter)... My feeling is that it's ridiculous to imitate the sound of the harpsichord when we play Bach on the piano. But if a gradation of touch, dynamic variations, limited use of the sustain pedal allow you to clarify certain aspects of his writing (the harmonic schema, modulations, polyphony), and especially if this helps the listener grasp what is at work in the piece, then you shouldn't deprive yourself of these techniques, and realize that it would be as ridiculous to play Bach with a rubato borrowed from the 19th century German romantics. Do you have any specific demands as far as instruments are concerned? Not particularly. I don't spend too much time worrying about action and tuning. I don't like pianos with an overly bright sound, nor those which have a very stiff action. Vladimir Horowitz had a piano with a very light action that I used once at Carnegie Hall, with some difficulty, but the action was very quick, and I could really dose the pressure down to the ounce. Old Bechsteins, Erards, and Pleyels are definitely the best pianos for intimate settings, but for a concert hall I need the string length of a modern Steinway. In 2009, we commemorated the 10th anniversary of Horowitz's death. Do you see yourself as one of his students, since you spent so much time with him? It would be incorrect to put things that way, even though I benefited greatly from his counsel. At the end of the 1960s, Horowitz wanted to take on a student. Rudolf Serkin recommended me, the producer Thomas Frost was asked to put us in touch, but I didn't hear anything further until Horowitz telephoned me personally. When he called, I didn't react, even when he told me who was calling, because I simply couldn't imagine that a giant such as himself would ever stoop to picking up a telephone. I thought that this stranger who asked to speak with "Mr. Perahia" wanted to speak to my father, surely for work reasons, and I was about to hand over the telephone when he said "You've misunderstood - I'm calling for you. I'm a friend of Mr. Serkin." This initial contact seemed almost like a prank! I auditioned with him the following day. He confirmed that he would like to work with me, but he asked for certain conditions, such as an agreement that I would remain exclusively his student for a fixed period of time. He also announced that he planned to change several aspects of my technique, and I think I was afraid at that moment of being overwhelmed by him, of being overshadowed by his personality. I had been working on my own for two years at that point, having split with my teacher two years prior: I was prepared to receive the advice of a master, but not to undo everything I had already acquired. I was unmoored. In the end I chose not to accept his proposal... and instead became Horszowski's student. Miecyslaw Horszowski (1892-1993) was a poet, a unique spirit with a fabulous legato, who worked with me for a year and a half to widen my repertoire with monthly lessons. Subsequently, I often crossed paths with Horowitz in recording studios in New York City. I sometimes went to greet him in his dressing room after his concerts, but I always felt somewhat ill at ease with him. He was not at all bitter about my decision, nor did he refuse to give me guidance. During the four years before his death, I visited him regularly. I saw him daily in the summer. The image that I have of him is not the one that many unjustifiably have: Horowitz was not a circus freak, but rather an exceptionally gifted musician, very serious, astonishingly cultivated. I saw him play pieces that he hadn't touched for years prior – he was literally drunk on music. That man had a holy fire burning within. You are indeed the last person to have heard him play. I remember that Horowitz wanted to work with me on a Rachmaninov concerto, while I wanted to work on Brahms' 2nd, which he didn't want to hear. I habitually called him from the airport every time I came back to New York. He was aware of my travels, but on one occasion my plane was very late and I didn't dare call to inform him of my late arrival. When I called the following morning, he told me that he and his wife had been worried when I hadn't called. He thought something had happened to me. I felt badly about this. He was not feeling well, but he was willing to see me – and he had changed his mind: he wanted to hear Brahms. "Are you free on Saturday?," he asked. I was. "Sunday?" I was also free then. I told him as much, and the questions continued - Horowitz wanted to see me every day of the week. I realized that something was worrying him, but I didn't know what. When he welcomed me that Saturday in November, he only wanted to speak of one thing: Mozart. He wanted to tell me how his music, which he worshiped, was exalted, incomparable. He then sat down at the piano, and played for me the prelude [by Liszt on the Bach Cantata] Weinen, Klagen, Sorgen, Zagen. It was absolutely magnificent... mystical, other-worldly, extra-musical. Then he did something that he had never done before in my presence: he closed the cover of the keyboard. It was very strange, very moving. I left late that evening. I never saw him alive again: he died a few hours later, the following morning. [Recorded less than a week before his death, the last album by Horowitz was accompanied by a preface written by M. Perahia]. Piano lovers are grateful to you for publishing recordings of some of Alfred Cortot's famous Courses on Interpretation, given publicly at the Ecole Normale in the late 1950s. How did this project come about? One day, when we were having lunch in Paris, the painter Jean Cortot told me about some recordings that a student of his father had made for his own personal use, over several consecutive years, of these courses. They had hours of remarks by Cortot, punctuated by examples at the piano, often about works that he had not played in concert or recorded. It was immediately apparent that I had to share this unique inheritance. No one today plays like Cortot, whose artistry reflected his fervent love of music. Pablo Casals, at Marlboro, often spoke to me about the trio he formed with Cortot and Thibaud ("He played so magnificently, you know," he would always say with a smile on his lips). Casals regularly invited me to his home in Puerto Rico. I think he enjoyed my presence. I had a profound admiration for him and I can still feel the influence he had on me. I am personally convinced that Alfred Cortot saw himself as a pianist who only played with his fingers. That is the only aspect that he discusses in his pedagogical materials and that he recommends working on. For this reason, I don't adhere to his Rational Principles from a technical point of view, even though one is led to believe that these daunting exercises worked for him. Surprisingly enough, Cortot was able to combine suppleness and the desire for pure finger articulation, but undoubtedly his work as a conductor unconsciously taught him to free himself, in order to reach a relaxed state in the body: his sound was superb. In him, I venerate the musician who remains an essential source of inspiration for pianists today. Were you yourself led to use the natural weight of your arms from the beginning? I'm really not sure. I was six when I began my studies with Jeannette Haien. At that age it seemed natural to use my whole body, without any muscular tension. And Mrs. Haien didn't work on technique from the outset: she rather taught me theory and developed my ear through dictation. She was one of Schnabel's disciples, as well as an acclaimed novelist. She passed away last September. The mark, the colors of Horowitz, Horszowski, Cortot... were easily identifiable. For you, what are the factors that have led to a depersonalization of the playing of most conservatory students today? Pianists today don't play in the same way we did when I started my studies, that's very clear. The way pianists interpret music has changed. Is this due to changes in taste, or elements lacking in musical training? Should we blame recordings, the shrinking world, or international competitions? I think something else is at work: popular music no longer mixes with classical music, as was the case up until the 1930s. Bach, Mozart, Brahms, Schubert, Bartók – all the way up to Richard Strauss, Gershwin, Cole Porter – they all wrote popular music, folk music, "light" or dance music, but as a form of art music. Today, our popular music has become so desperately impoverished that it simply hammers out the same rhythms under the same pitiful chord chart, while classical music has cut all ties with its roots and seems to be exclusively for a small circle of experts. Classical music has lost its hold on reality, and popular music has lost its sophistication, to the point where today's musicians can't seem to let go of their waltzes and mazurkas, even though these sonorities and rhythms are no longer part of their heritage, their daily bread, roots, or surroundings. We all suffer from this, myself included. The breathing and the rhythm of the world are no longer what they once were either. Young people today are not at fault for the standardization of their playing which they sometimes exhibit: this is simply a societal trait. A crazy way of dealing with this uniformity would be to produce higher quality popular music and show the general public the wonders of great music! Is it not sometimes difficult for a sensitive, thoughtful musician such as yourself to live in London at the beginning of the 21st century? As you can see, I don't live in the middle of the City, but rather in an outer suburb with access to the tube. When I moved to England, the intensity of the local music scene was incredible. So many people were here: Shura Cherkassky, Yehudi Menuhin, the Amadeus Quartet, Clifford Curzon, who was a close friend, a whole Schnabel community, not to mention all the guest soloists. The BBC was a driving force: we waited for each new production by Benjamin Britten with bated breath. I had met him while I was in the United States. He was a marvelous pianist, especially as an accompanist (for Schubert song cycles, the Dichterliebe): what an atmosphere he created, what imagination... what a musician! I played all his songs with Peter Pears, and introduced the Schumann Concerto to him. He always had a fascinating point of view, because in him the creator took precedence over the musician. I was also there for Leopold Stokowski's recording sessions. This city is perhaps a bit less exciting today, but I am still happy to live here with my family. In my neighborhood, people are friendly without being overbearing. This is a good place to think, meditate, work. Bach, Mozart, Beethoven, Chopin... that's enough for one lifetime.